The Leitner Center annually honors one of the activists with whom the Crowley Program worked during the prior year’s human rights fact-finding project with a $1000 prize. The Center flies the recipient to New York to attend the Annual Leitner Dinner and meetings with non-governmental organizations and national and international officials. The prize is intended to recognize the exceptional work of human rights advocates abroad; and, through that recognition, contribute to their effectiveness and safety at home. 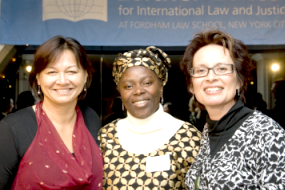 The prize is fully-funded by the alumni of the human rights program at Fordham Law School.